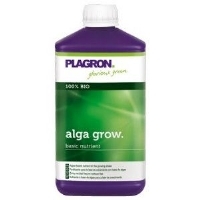 Plagron Hydro A+B is a mineral fertilizer for plants both in growth than in flowering stages. 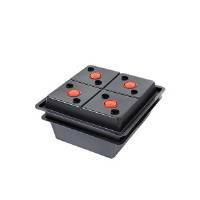 This nutrient is suitable for hydroponics and aeroponics systems. 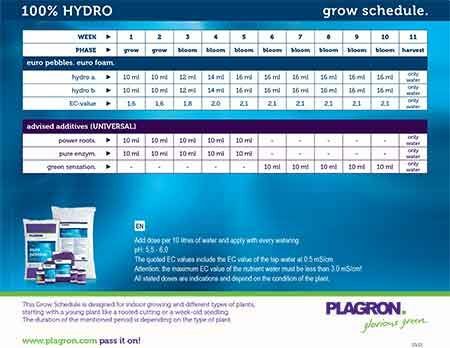 Let your plants grow higher with Hydro A+B!! 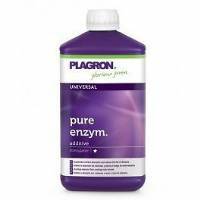 The mineral nutrient by Plagron. 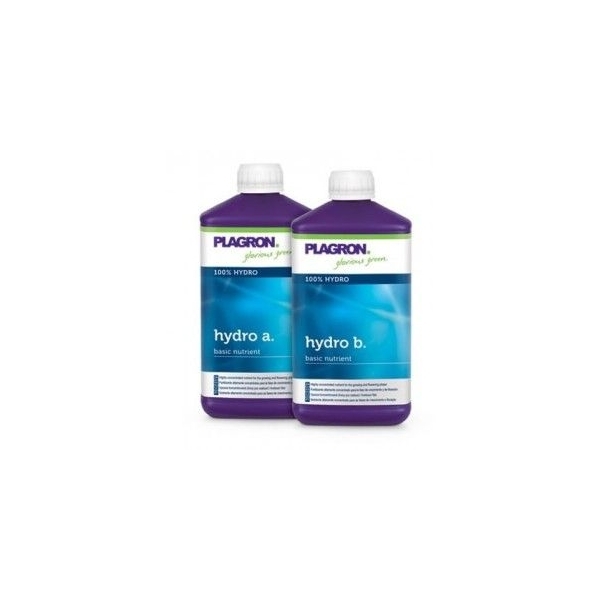 Plagron Hydro A+B is a two component mineral nutrient for plants by Plagron. 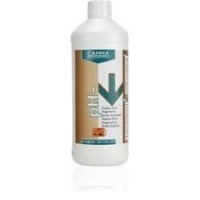 This special fertilizer is perfect for growth and blooming stages during the life cycle of plants. This special nutrient could be integrated with a flowering booster to increase the yeld of plants in the blooming stage for the last 4-6 weeks. The product is composed of two 1-liter bottles. Hydro A: NPK-fertilizer (5 - 0 - 2) Water, calcium nitrate, magnesium nitrate, and potassium chloride; 5% Total nitrogen (N), of which 5% nitrate nitrogen (NO 3 ) 2% water-soluble potassium oxide (K 2 O). Hydro B: NPK EC fertilizer (2 - 4 - 9) 2% Total nitrogen (N) of which 1.9% nitrate nitrogen (NO3), 4% water-soluble phosphorus pentoxide (P2O5), 9% water-soluble potassium oxide (K2O). Dosage: In 1 liter of water put 1,6 ml of nutrient. 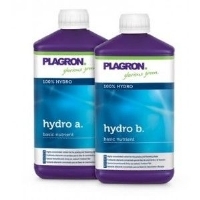 IMPORTANT: Use the same amount of Hydro A and Hydro B at each watering. 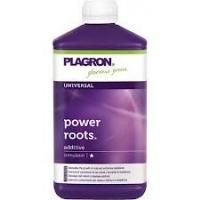 "I love this fertilizer, for growth and blooming is surely the best I''ve ever tried!!! "